Tooth removal is never taken lightly. 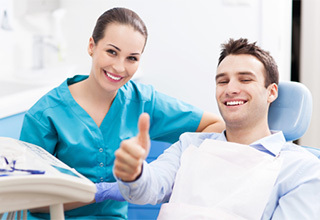 At Southridge Dental, we partner with patients to maintain their healthy smiles for life. When tooth extraction is necessary to ensure you can maintain optimal oral health, our Inver Grove Heights dental team is here to help. 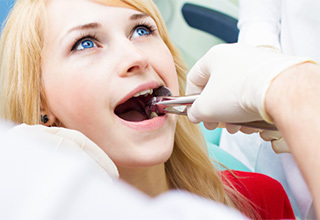 We offer safe, comfortable tooth extraction procedures to help you keep your smile healthy and functional for life. If you need to learn more about tooth extractions or any of the other dentistry services available from our team, call our dental office in Inver grove Heights to schedule a consultation appointment. We’ll be happy to examine your smile and discuss the necessity for any dentistry services to help you maintain a healthy, beautiful smile. Tooth decay or dental damage that destroys the majority of teeth making restoration impossible. Teeth that are unable to erupt on their own (impacted). Primary (baby) teeth that don’t fall out on their own. One or more teeth may be removed in preparation for orthodontic services or denture placement. The third molars, wisdom teeth, are often removed due to crowding or impaction. 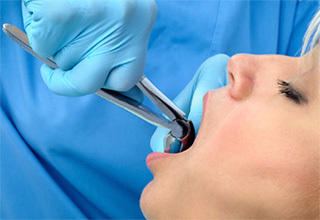 We remove teeth surgically, by pulling, or using a combination of both extraction techniques. Pulling teeth is only possible when the tooth has fully erupted from the gum line before it has fused with the underlying supportive structures. 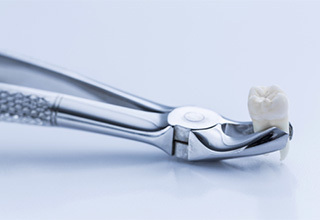 We utilize a clasp tool to shift the tooth back and forth, breaking it away from the supportive bone and gum tissue. If a tooth can’t be pulled free from the socket, we’ll need to utilize some surgical extraction techniques. This can be as simple as cutting away some soft tissue to reveal more of the underlying tooth structure, or it can involve more complex steps. Most people who have a tooth removed receive a combination of surgical tooth extraction and pulling. Each case is unique, and our team will always create a personalized plan to meet your unique needs. Consume only liquids for the first 48 hours. After that, you can begin eating more difficult to chew foods as you feel comfortable, but make sure to avoid chewing around the extraction site. Ice packs are your friend. Use cold compresses at 20 minute intervals to relieve pain, prevent severe swelling, and slow bleeding. Take pain relievers and other medications as instructed. Let our team know right away if you experience any potentially adverse effects from the medications. Keep the extraction site clean by regularly replacing gauze to absorb blood flow. You should also brush and floss as usual but take special care to avoid irritating the extraction site. Take time to rest. A little extra rest immediately following your tooth removal can mean shorter overall healing time.